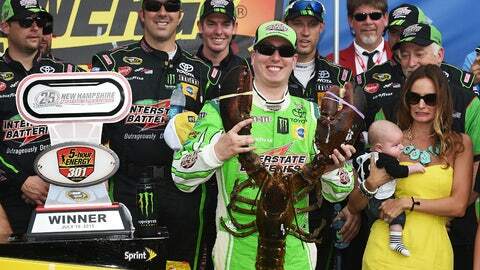 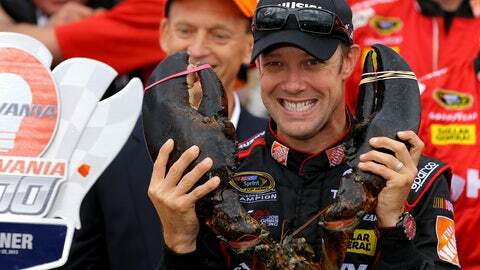 Matt Kenseth celebrates in Victory Lane with his family and "Loudon the Lobster" after winning the Sylvania 300 at New Hampshire Motor Speedway on Sept. 27, 2015 in Loudon, N.H.
Kyle Busch and his wife Samantha pose in Victory Lane with the massive lobster after winning the 5-Hour Energy 301 on July 19, 2015. 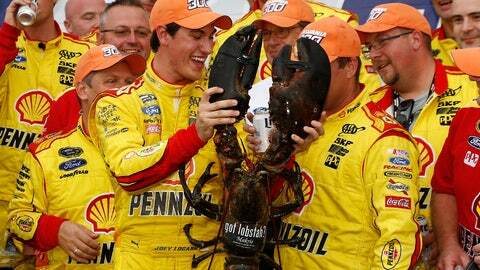 Joey Logano receives a lobster in Victory Lane after winning the Sylvania 300 on Sept. 21, 2014. 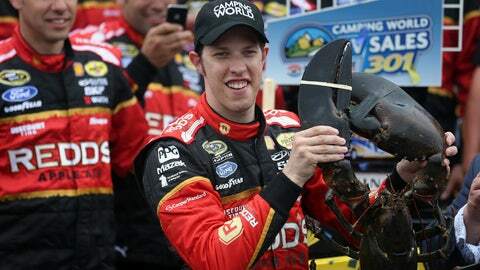 Brad Keselowski holds the lobster trophy after winning the Camping World RV Sales 301 on July 13, 2014. 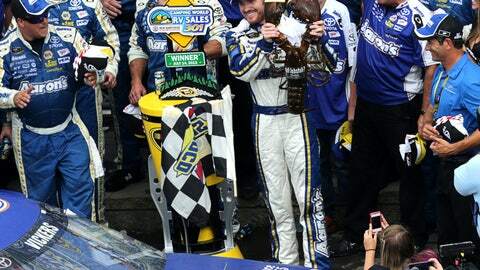 Brian Vickers celebrates in Victory Lane with the lobster after winning the Camping World RV Sales 301 on July 14, 2013. 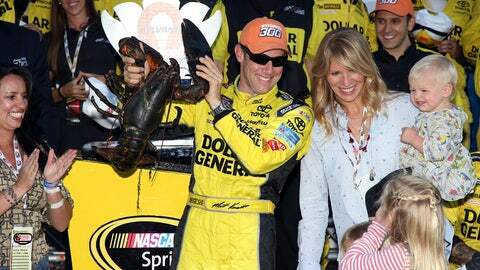 Matt Kenseth has a big smile as he celebrates with a lobster trophy in Victory Lane after winning the Sylvania 300 on Sept. 22, 2013. 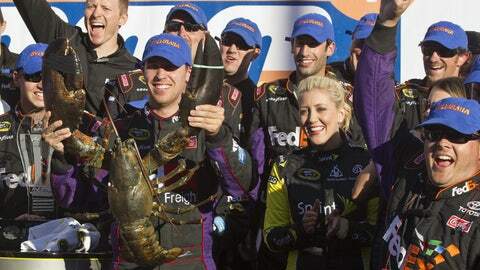 Denny Hamlin holds up the 22-pound lobster after winning the Sylvania 300 on Sept. 23, 2012. 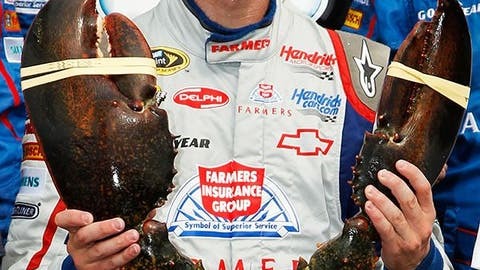 Kasey Kahne celebrates in Victory Lane after winning the Lenox Industrial Tools 301 on July 15, 2012. 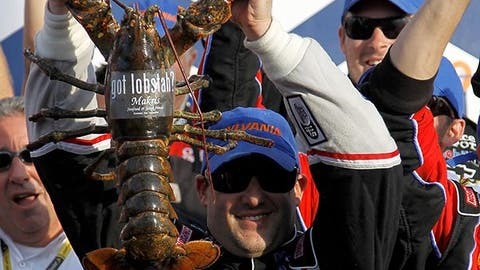 Tony Stewart celebrates in Victory Lane with a ceremonial winner's lobster after winning the Sylvania 300 on Sept. 25, 2011. 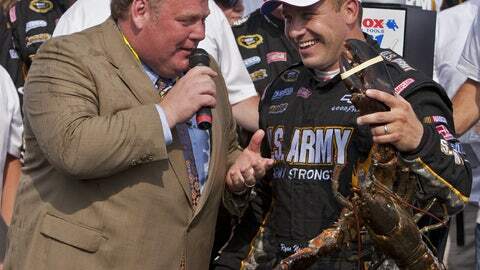 Ryan Newman is presented the lobster after winning the Lenox 301 on July 17, 2011. 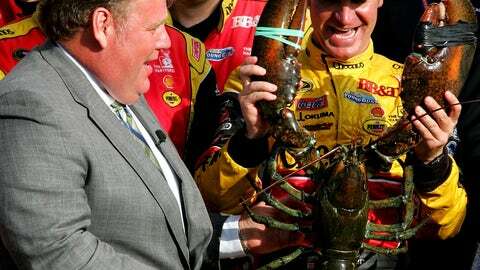 Clint Bowyer recieves a huge lobster during Victory Lane ceremonies after winning the Sylvania 300 on Sept. 19, 2010. 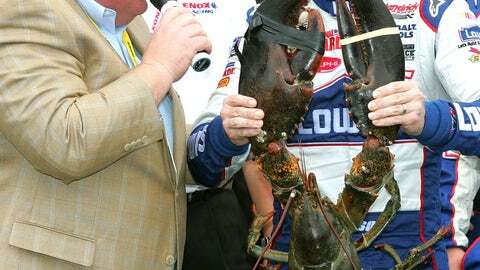 Jimmie Johnson (right) is presented with a large lobster after winning the Lenox Industrial Tools 301 on June 27, 2010.